The Merlin M-Power VSR is quick and easy to install and provides automatic “fit and forget” split charging for lighter duty split charge applications. It is the ideal choice for small vans, day boats, patrol boats etc. The VSR sits between two batteries. When it senses that either battery is being charged (and voltages are high enough) the unit will activate and allow power to flow between the batteries. Power will “know” which way to flow automatically and over-charging between different sized batteries cannot occur. 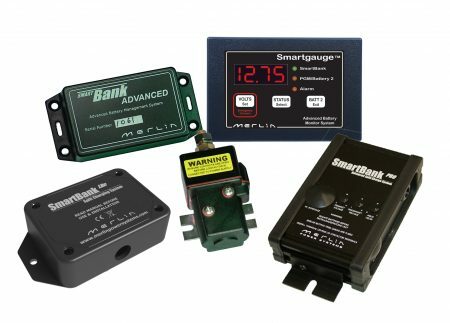 VSR’s introduce no losses into the charging system and smart-electronics prevent relay “chatter” when charging and using power from the auxiliary battery at the same time. 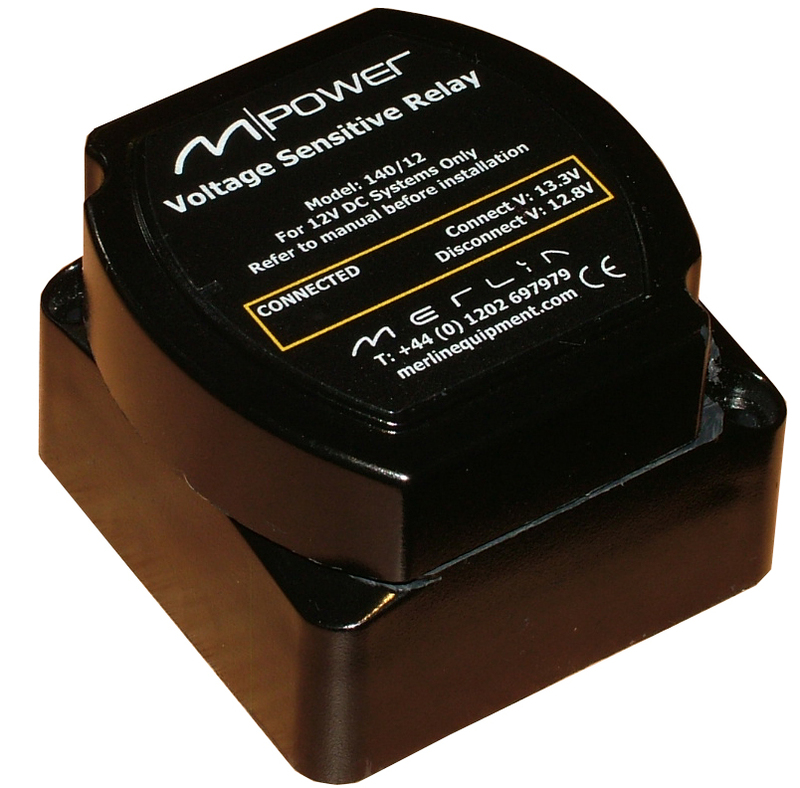 The M-Power VSR can be used as a voltage sensitive switch – if the input is wired to a battery and the output directly to a load, that load will only receive power when the battery is being charged or is healthy enough to provide power – useful for running DC appliances that should only be used when engines are running.